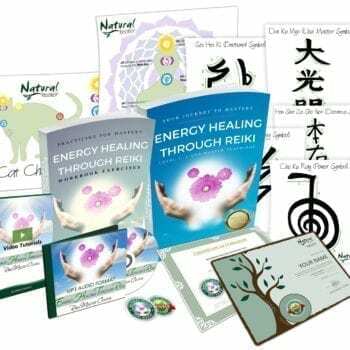 Learn Reiki Space Clearing with Melissa's Coursebook. Click here to order. Have you ever wanted to learn how to transform the feeling of your surroundings from negative and stale to positive and vibrant? 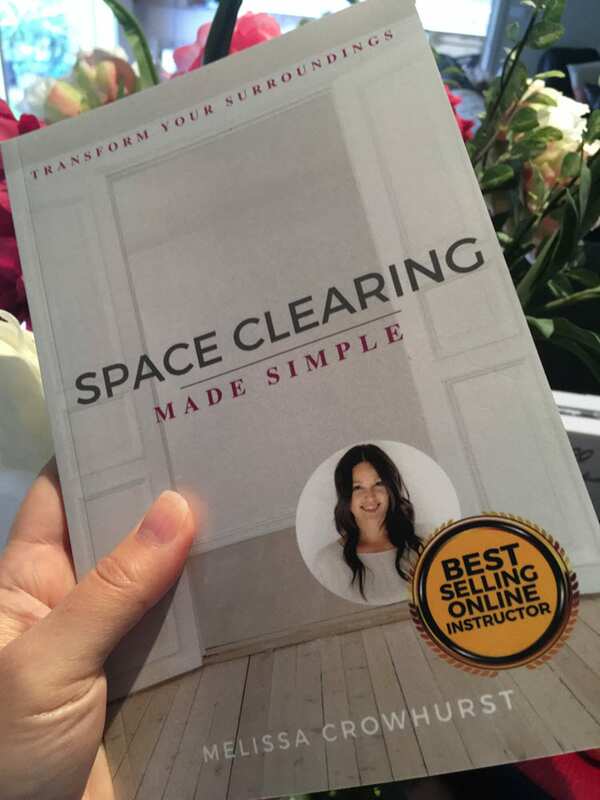 By ordering a copy of Melissa’s Space Clearing Made Simple book you’ll be able to learn and reference the steps to clearing negative places into loving spaces quickly and easily! Use whatever lingo you like, but when the explanation of ‘what we are’ is boiled down: we’re all energy beings existing in a field of energy. This means people can unknowingly unload their energetic ‘junk’ in a space and in turn, a place can impress its energetic ‘clutter’ upon us – leaving us feeling uneasy. Space Clearing Made Simple is the essential guide to declutter and wipe clean the negative energy so you can feel comfortable everywhere you go. Its seamlessly integrates ancient wisdom with scientific explanations in order to form Melissa’s refreshing take on transforming negative spaces into loving places. The reader travels from the fundamentals of energy healing to then follow Melissa’s simple steps to Space Clearing – all while developing their own intuition and confidence. What’s more, no experience is required to truly benefit from Melissa’s knowledge because her methods are easy yet highly effective! 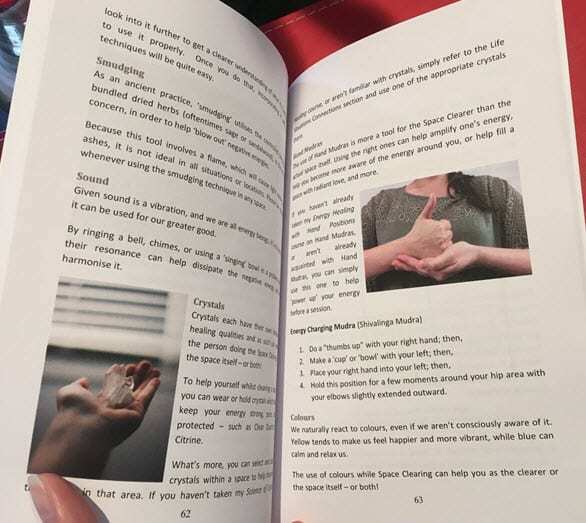 This is the physical version of the course book provided with Melissa’s Reiki Space Clearing course. It includes everything you need to learn in order to confidently perform Space Clearing steps, this “hard copy” version omits course-specific inclusions to obtain certification as it assumes the reader is not enrolled in the course. This means you’ll be able to learn the steps, but purchasing the book doesn’t ‘certify’ you. 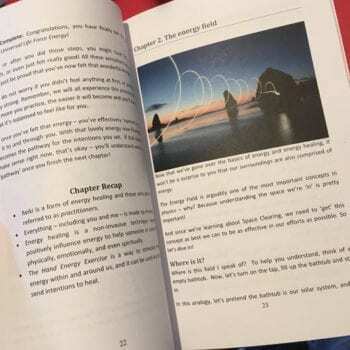 On the other hand, you don’t have to purchase this “hard copy” in order take Melissa’s Space Clearing course because a PDF version of it (with course-specific inclusions) is provided with your enrollment. But if you like to have a “real” book to hold and refer to, then this book serves as a great complement to the course. 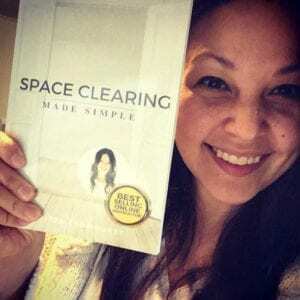 If you’re ready to start learning how to transform your surroundings with Melissa’s Space Clearing Made Simple book, be sure to click the add to cart button! If you have any questions be sure to check out our FAQ and refund policy here; or to reach out and contact us here anytime!